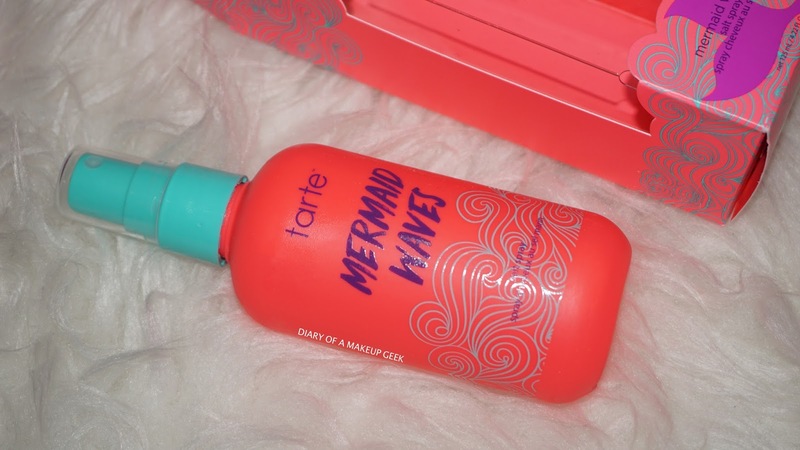 If you haven't already seen the Tarte Mermaid collection then you seriously needed this post! 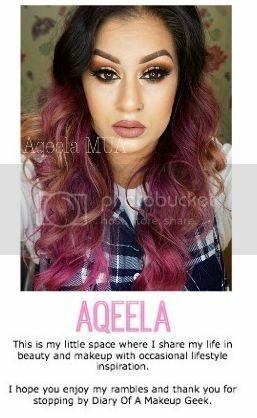 I feel like the pictures on their website just don't do this collection justice! 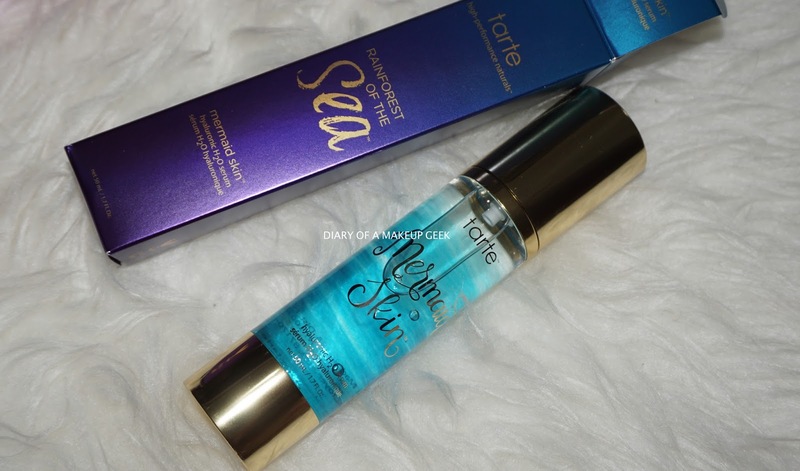 When I first received my package I was instantly reminded of beaches, mermaids, exotic weather and sun kissed skin! 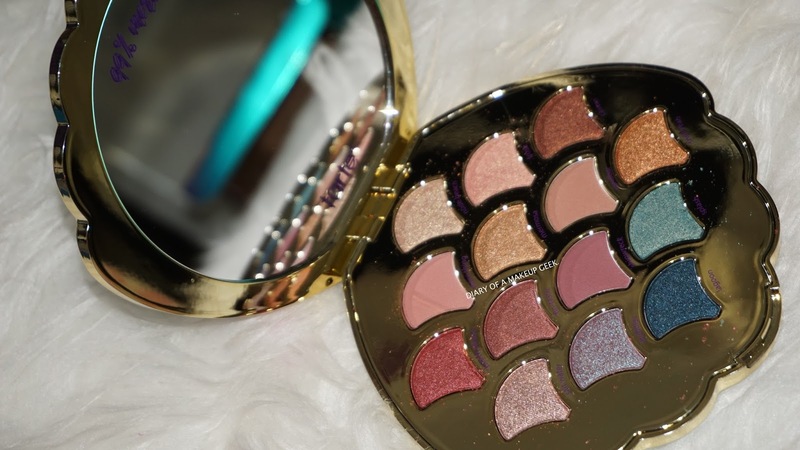 Tarte have really pulled it out of the hat with this collection and what perfect time of the year too! As sunny England isn't sunny enough a lot including myself are going away on holidays all over the world and this collection has something for everyone! 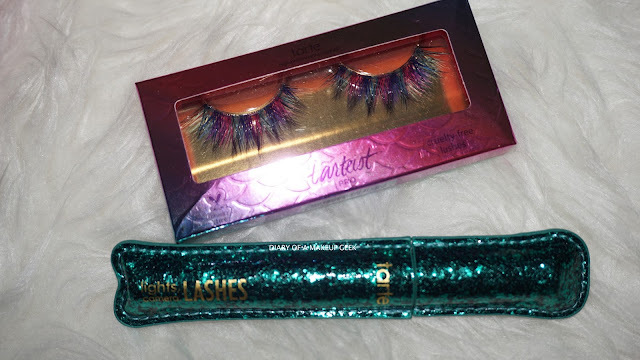 The packaging really had me like 'oh hey there'! 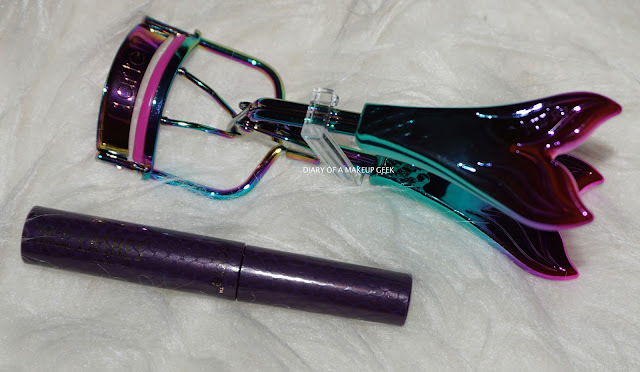 Mermaid scales, blues, purples, sea shells and much more! 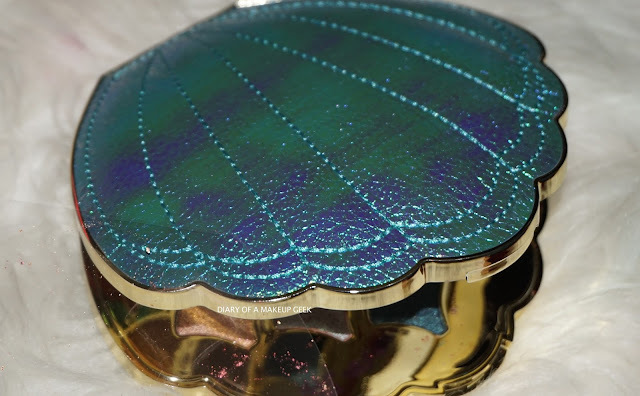 I love the finer details that they've added like the lash curlers have a ombre mermaids tail and the palette is mermaid scales within a sea shell styled palette. 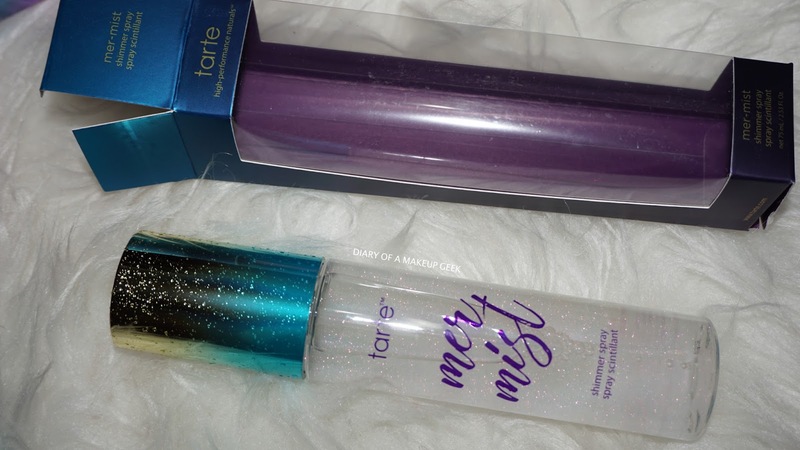 Shimmer mists are hot this spring/summer and they've released their take on it, along with the mermaid waves hair spray which is another thing popular right now. 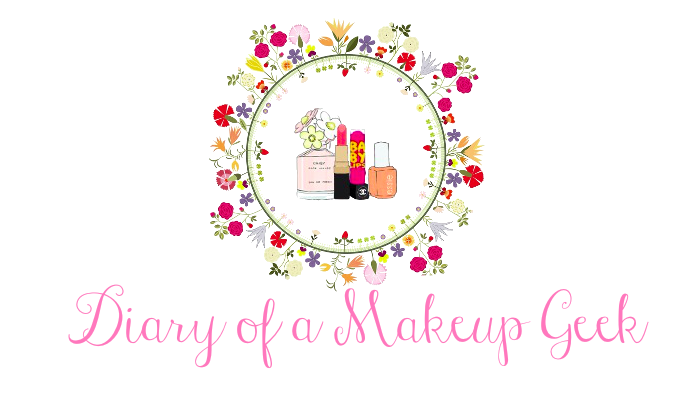 Not only have they released makeup related items around this collection but skin care products too! 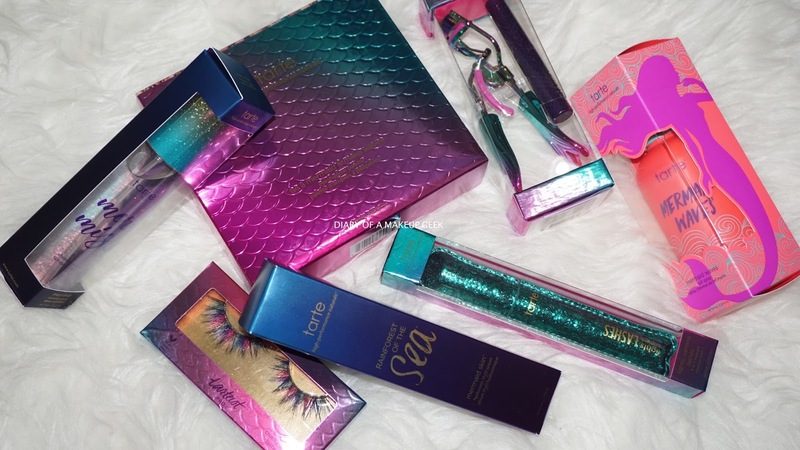 I can say a lot of these products will be coming on holiday with me!